It has been a year since the Rosaleen Larkin Children’s Home was inaugurated. 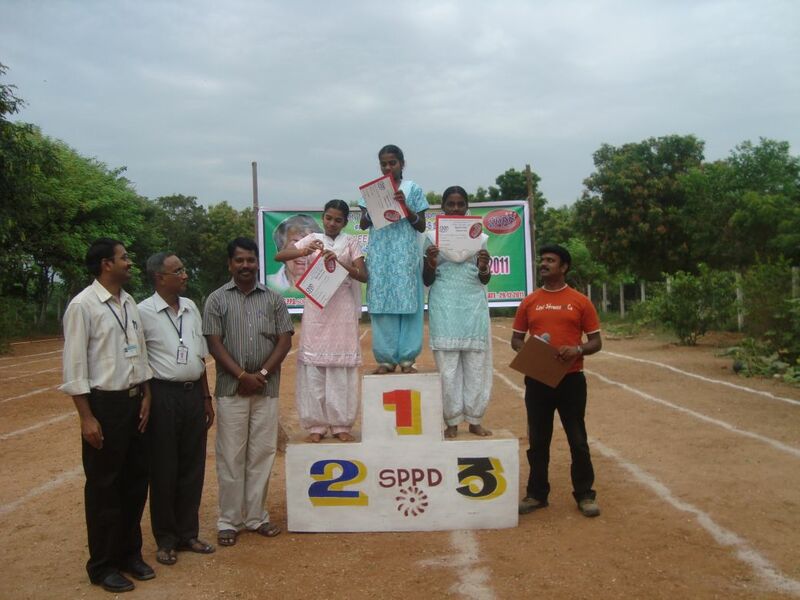 Hence the Annual day and Sports day function were celebrated on 29th Dec. 2011 as a token of remembrance of our supporter Mrs.Rosaleen Larkin. As usual an interesting programme was made for the day. 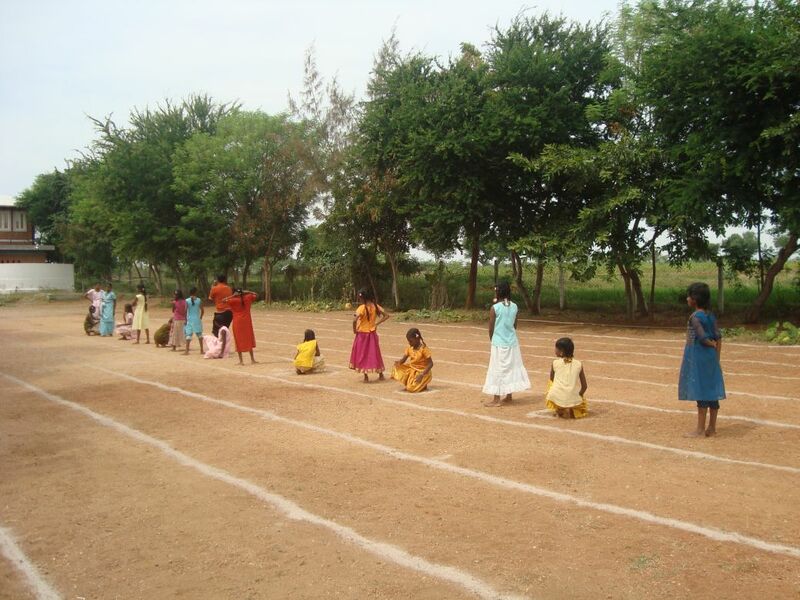 The sports began exactly at 11 a.m. Mr.Appanayakar, President of Valavanthi Panchayat had declared the sports meet open. 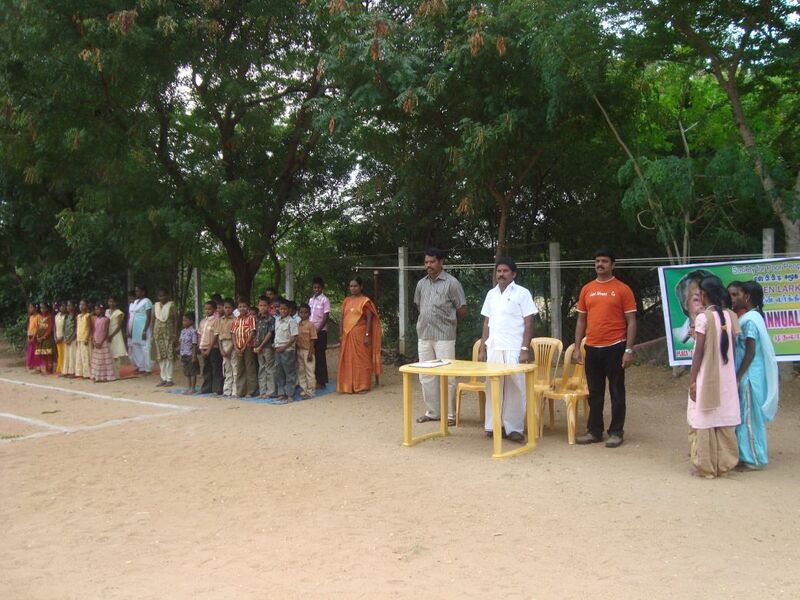 The programme started with a prayer song which was followed by the sports events. Individual Events for girls - Fill me - Quick! 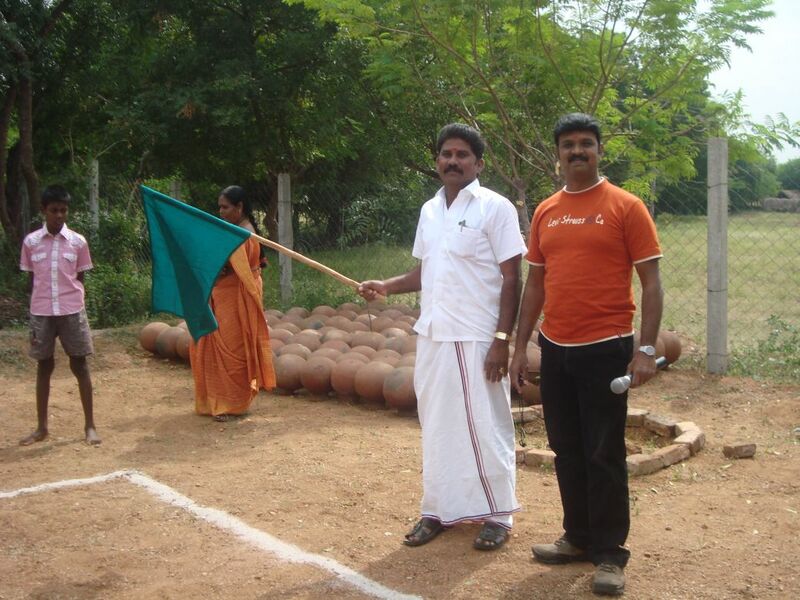 Mr.P.N.Venkatachalapathy, Senior Manager, Indian Overseas Bank, Musiri and Mr.Hariprasath, Asst. Manager, IOB, Musiri, Mrs.Jegajothi Manoharan, President, M.Pudhupatty Panchayat, Mr.Manoharan were the chief guests of the show. 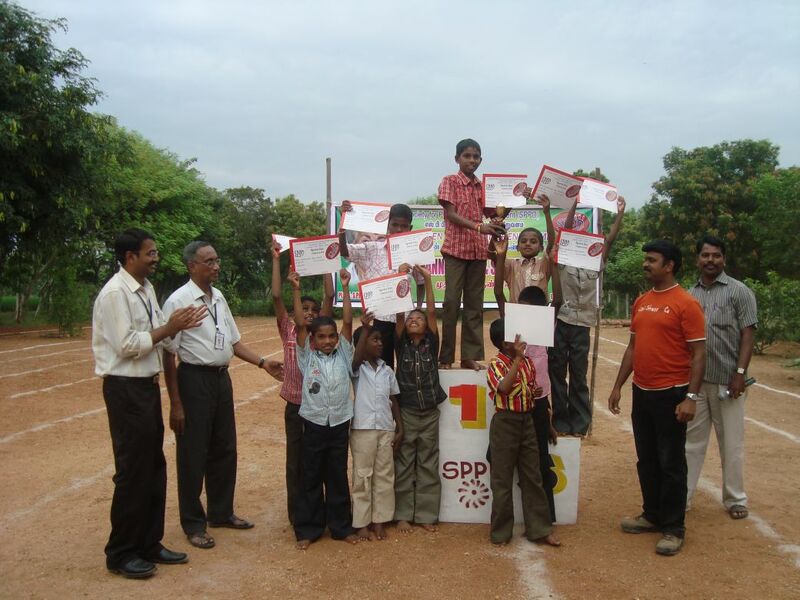 The winners and runners-up were awarded with cups and certificates by our honorable chief guests. With the vote of thanks delivered by Mr.Padmanaban, Executive member, SPPD,the sports and annual day function came to an end with the National Anthem sung by the children. We are 9 young volunteers from Europe (Anne, Fénicia, Pauline, Joryck and Cyril from France, Larissa, Celine, Manuela and Thomas from Switzerland). 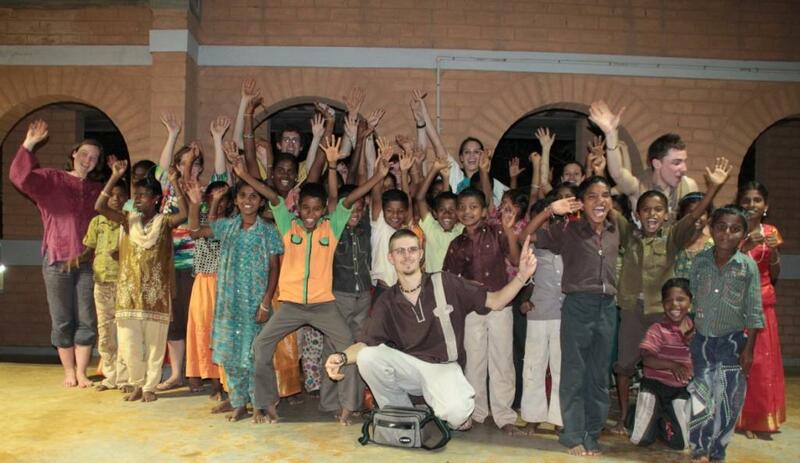 We came to India within the framework of a European program (“Youth in Action”) to help and participate as volunteers in SPPD projects for one month. We have been living in SPPD center for two weeks and we have been sharing the children and staff’s daily life. Everybody gave us a very good welcome and the atmosphere in the center is really peaceful. We had the opportunity to visit the different projects set up by SPPD and their beneficiaries. 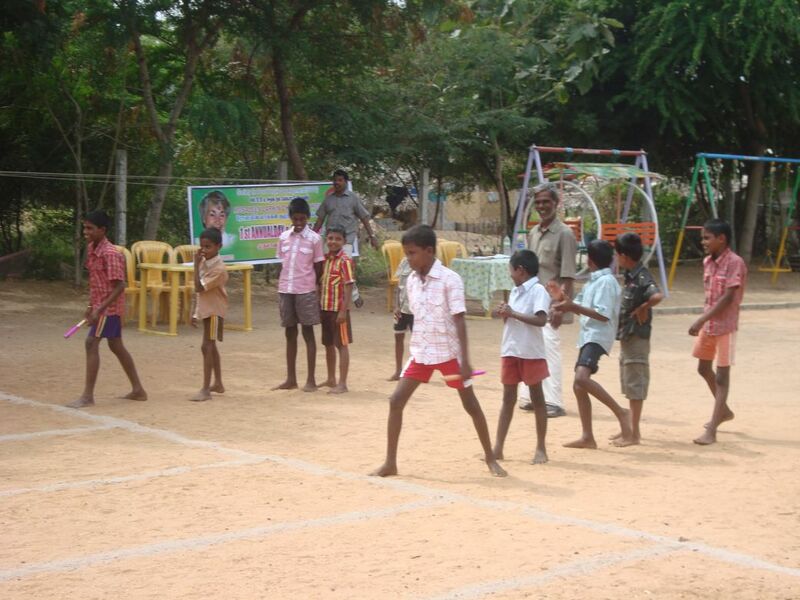 Children program: Rosaleen Larkin Children’s home, evening study center, non residential educational support. Women program: Self Help Groups, legal aid, savings, micro credits, insurance plans and micro enterprises, training and empowerment. Sustainable agriculture: traditional organic farming methods, training, Self Help Groups, tree planting. 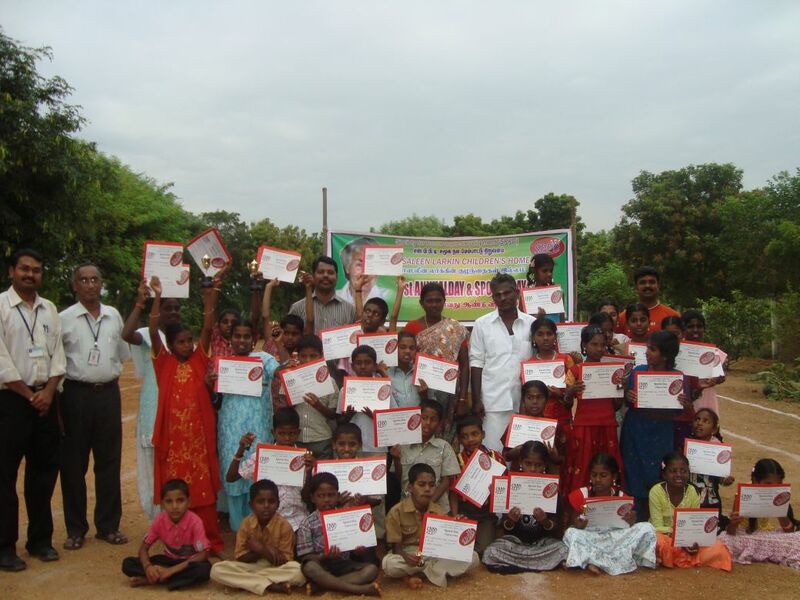 HIV/AIDs program: awareness campaign, counseling, support, education. In our mind, these kinds of projects are very interesting and beneficial to the local community and local development. They provide an effective help to the people who really need it. 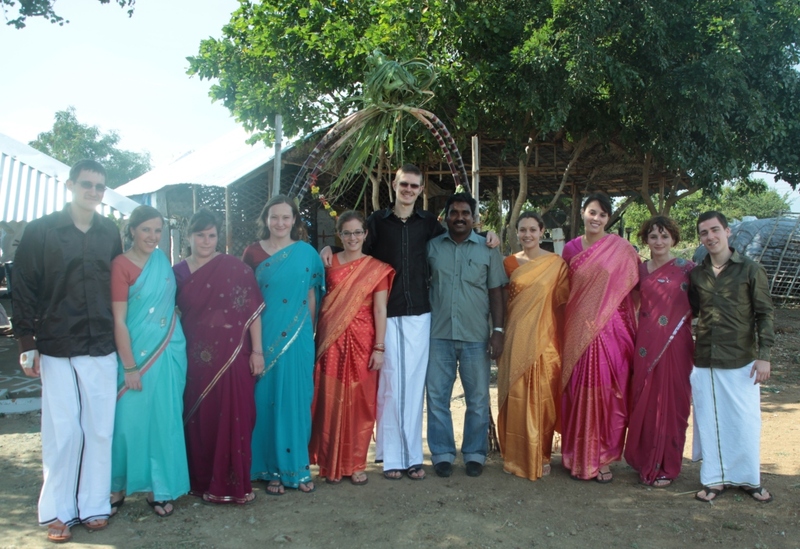 This experience of volunteering, based on intercultural exchange and the discovery of India, is really rewarding for us, personally and professionally. We will keep only good memories about it and hope that many other volunteers would have the same chance to live it! Our sincere thanks to SPPD staff.